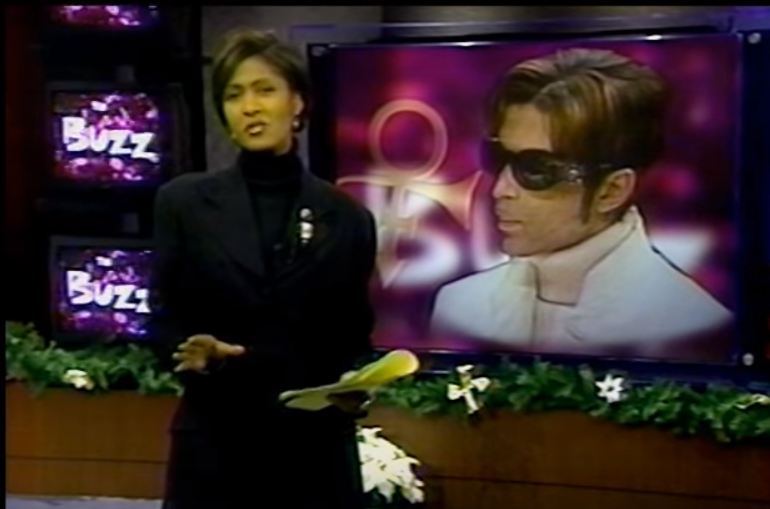 This two-part installment of Purple Music shares the story of how Robyne Robinson — Twin Cities broadcast legend, style guru, and cultural icon in her own right — came to be the first and only media professional to interview Prince Rogers Nelson on local television. It was a summer night in 1984 when — sitting in a Town & Country Theatre in Mishawaka, Indiana, with a date whose name she can’t remember — Robyne Robinson experienced an epiphany. A Chicago girl, and a proud Southsider at that, Robinson didn’t know much about the City of Lakes. Yet, after seeing Prince in all his glory light up the silver screen against the Minneapolis cityscape, visions of the Purple One’s “Uptown” danced in her head. Still, it would be another six years before Robinson finally set foot in the Twin Cities. After career stops in the Hampton Roads market, Dallas-Fort Worth metroplex, and Baltimore, where she was awarded the prestigious Paul Miller Washington Reporting Fellowship, Robinson followed her fiancé to Minneapolis without a job of her own. In short order, she landed on her feet at KMSP-TV and became Minnesota’s first African American primetime news anchor. But by this time, in 1990, Prince was no longer on her radar. Robinson was heavy into world music then, but it didn’t take long for her to see the influence Prince still commanded in his hometown. She fondly shared a moment soon after she arrived in Minneapolis. While driving along France Avenue, she spotted a man at a bus stop, decked out in a pinstriped suit, fedora, and a pair of Stacy Adams shoes — basically, the whole nine. “This brother looked like he was straight out of [the band] The Time,” she recalled in amusement. 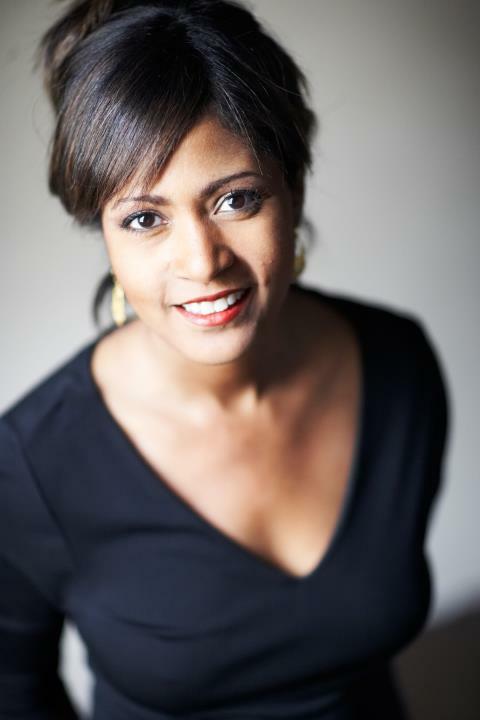 Jumping ahead to 1994, Robinson was becoming well immersed in the local music scene, having established KMSP’s pop culture segment “The Buzz” as part of her primetime newscasts. Both producer and host, she routinely featured the who’s who and happenings of the local music scene. Always one to stand her ground, Robinson countered to her bosses, “Arts and culture are the lifeblood of our community and this feature shows that we care about them. Not just the artists, but everyone.” Luckily, there was no shortage of individuals willing to go to bat for Robinson’s vision. Mark Wheat of KFAI’s popular radio show the “Local Sound Department,” organized a campaign to save the segment, generating dozens of daily calls to KMSP brass. Perhaps, however, it was her friend Steve Greenberg of Lipps Inc. “Funkytown” fame whose remarks proved to be the clarion call to keep the segment alive. Greenberg encountered KMSP President Stu Swartz in a local restaurant and told him he would be an “f#*%ing idiot” to take “The Buzz” off the air. Fortunately, for the Twin Cities artistic community as well as the rest of us, Swartz got the message. Among some of the others who Robinson befriended in the music community by now were Sherry Hart-Nolan and Stephanie Von Brunner, stylists at Paisley Park and close friends of Prince’s then-wife Mayte. Ultimately, the four women formed a “crew,” so to speak, and one night while out and about in Uptown, Mayte announced that she was starting a dance company. “Will you do something about it?” she asked Robinson. Robinson agreed to produce a feature, but there was one problem: Mayte seemed reticent to appear in front of the camera. Apparently, Prince was not big on the idea, as he was distrustful of the media, and especially local outlets. More importantly, it had only been roughly a year since Prince and Mayte lost their newborn son and he was exceedingly protective of her. The talk put Mayte at ease and she agreed to the interview. Before long, Robinson and her team had produced a 30-minute television special on Mayte and the NPG Dance Company. Once the show aired, Robinson received a call stating that Prince would like her to come back out to Paisley Park. “I was crushed,” Robinson remembered. “I just knew that my career was over. “Then, not five minutes later, Jimmy Jam calls me asking if I could do a feature on his wife Lisa.” At that point, it dawned on her that people, including Prince, might have liked the segment. Relieved, Robinson said she couldn’t quite believe what she heard next: “Would you like to do an interview with me?” Prince asked. Her response goes without saying, as she now believed that Prince saw her as both “an ally and a resource.” What Robinson hadn’t counted on was that she would have to travel to Fargo to get the interview.